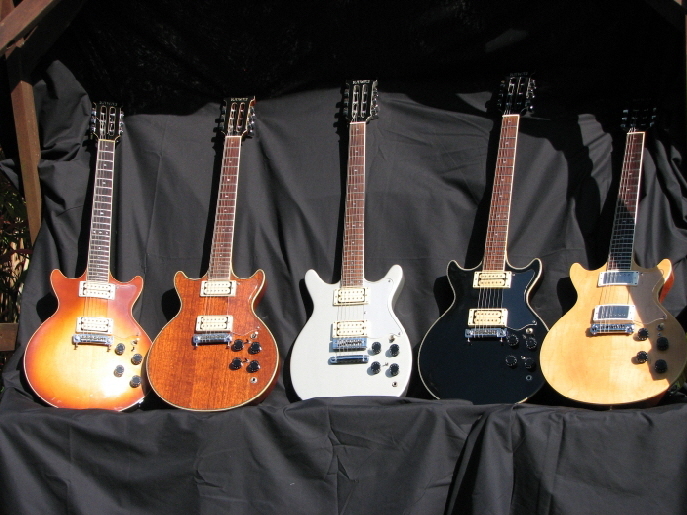 This site only covers the Kawai Guitars from the late 1970s and early 1980s. That’s all that I’m really interested in, all that I’ve taken the time to research and summarise on this site. 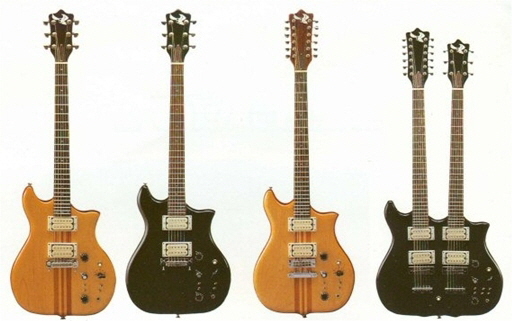 I know nothing about the earlier guitars, including the oddly shaped, multi-pickup-ed and many-switched models of the 1960s, and the various acoustics. Sorry - I can’t help you with those! 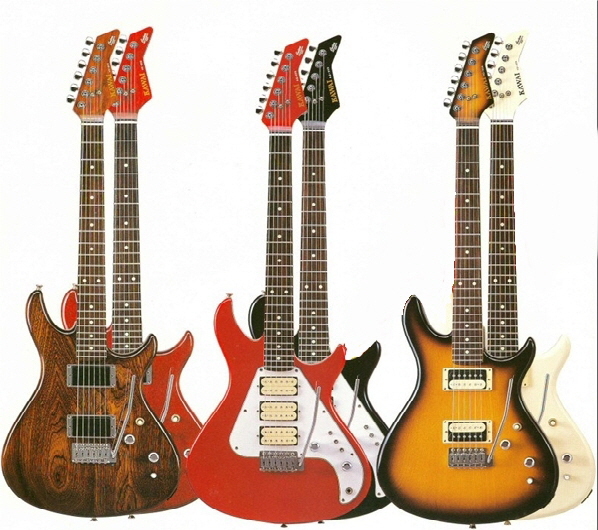 So what guitars did Kawai make in the late 1970s and early 1980s? (That’s my original KS-12XL, second from left).